Rachel is thrilled to be playing Rosie in Royal Caribbean's production of Mamma Mia!, combining her love for all things travel and musical theater. After several successful workshop productions in New York and California, Rachel and her collaborators are working on an updated version of Last Night in Town–an immersive song-cycle based on the music of Ben Folds. 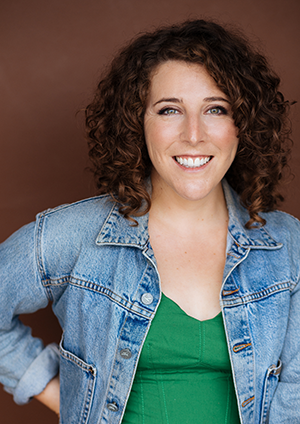 Rachel recently completed her Ph.D. in Educational Theatre from NYU with her dissertation, "The Phenomenon of the Acting Bug: Interrogations of Self-Identification and Career Decision-Making Processes of Professional Actors." Rachel appeared Off Broadway as Brenda King, a gender-reversed characterization of Donald Trump, in this verbatim re-staging of excerpts of the 2016 Presidential debates. The performance was featured in The New York Times and The Guardian, as well as MSNBC Live with Steve Kornacki. Rachel was awarded "Best Director" at NYSummerfest for her work on My Other Job. The play, co-written by Rachel and Cali Moore, was nominated for 7 awards including Best Play. My Other Job is also set for publication in an upcoming issue of Arts Praxis Journal. Rachel served as music director for this delightful production at NYU with an ensemble of developmentally diverse actors exploring the aesthetics of accessibility. Read a review of the production here. Rachel's first short film, "Micro", was an official selection of Cinewest's Women Media Arts and Film Festival in Sydney, Australia. The film enjoyed its World Premiere in Sydney Olympic Park. Watch the film here. Rachel served as music director for this original adaptation as part of NYU's Looking for Shakespeare program, using her unique arrangements of all the best 90s tunes to enhance the romance, angst, humor and horror of this classic work.